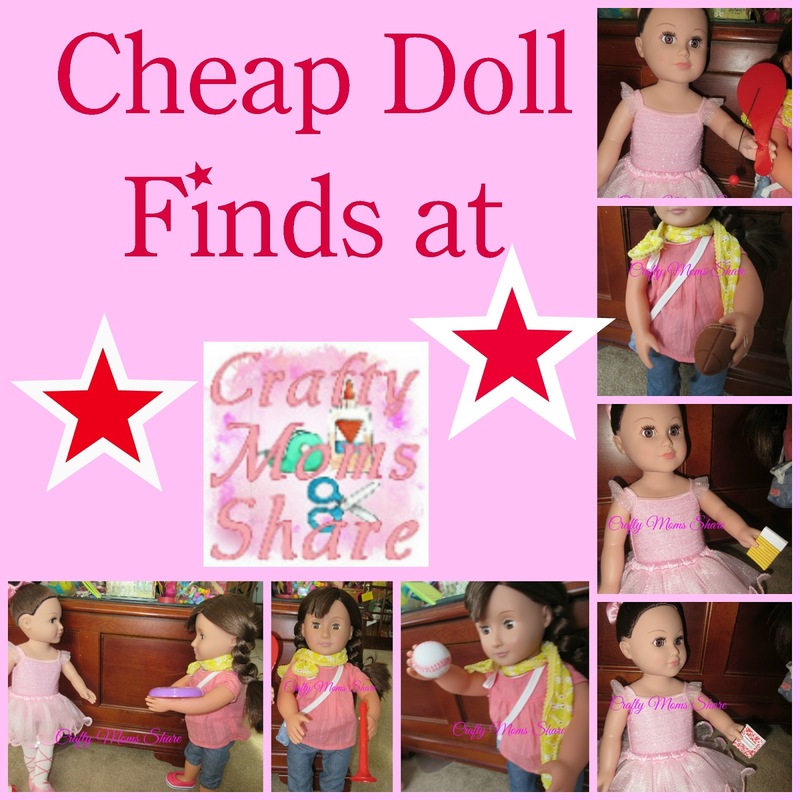 After the play date Hazel and I went to five different stores to chose a new Hazel doll. It had to be one with brown hair and brown eyes. Not the easiest thing to find all the time. We found two that we both liked and she had a very hard time choosing between them. 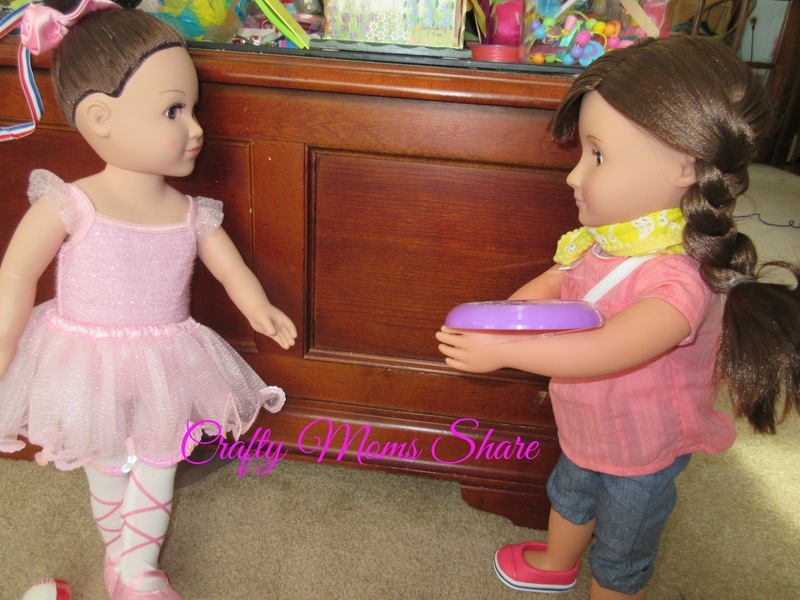 They were at different stores so we purchased both and she was going to decide at home. She couldn't decide. 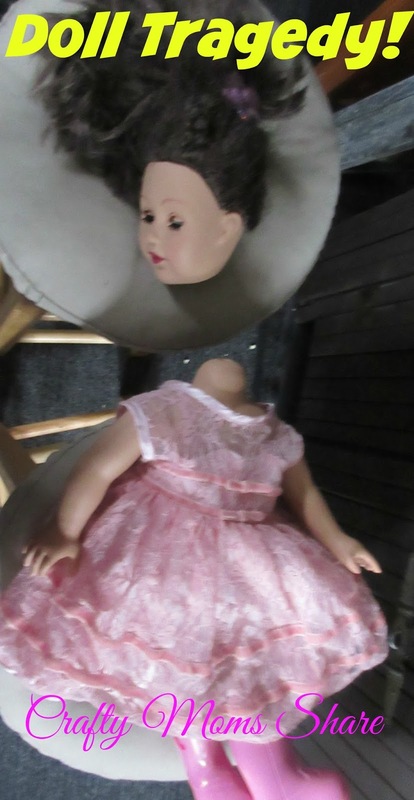 She decided to use her spending money to purchase one so she could keep both. 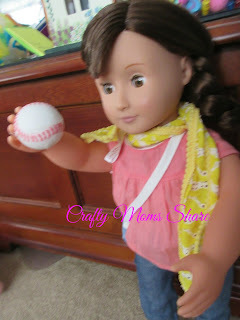 Hazel decided to name the doll from Walmart Starshine and the doll from Target Chrysanthemum (after Kevin Henkes' book character). 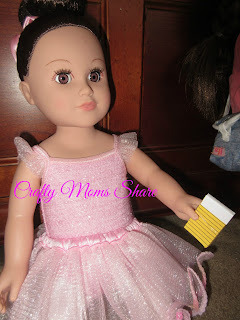 Chrysanthemum came with many things to travel and a book with her story. 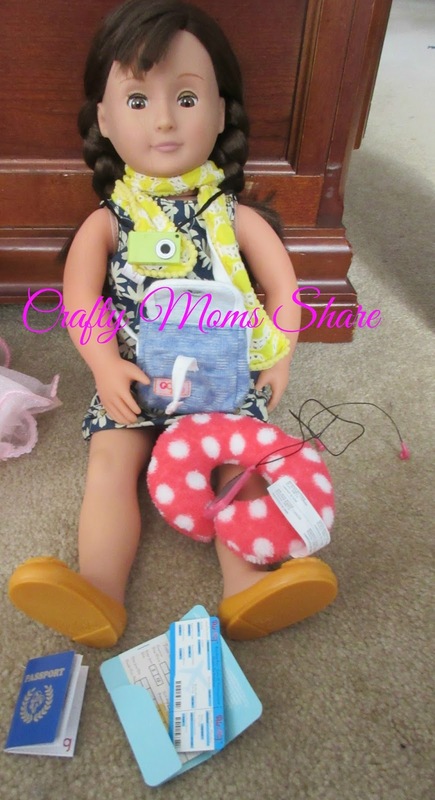 She has an ipod, camera, plane ticket, train ticket and passport as well as a neck pillow and a change of clothes. 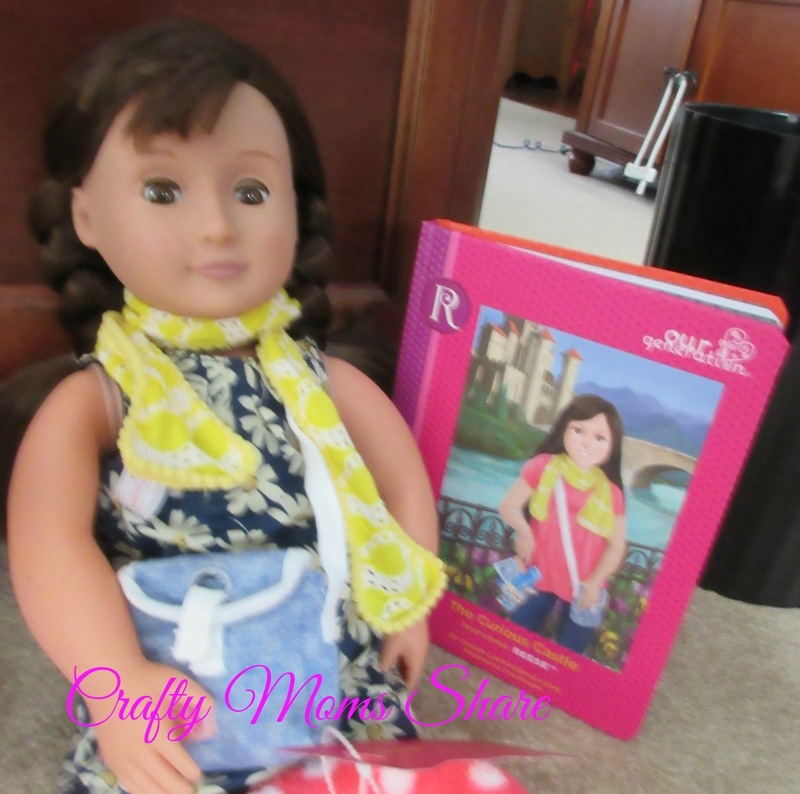 Then there is the chapter book and a book mark for it that tells the story of Reese (that was the manufacturer's name for the doll). Now that you have met the dolls I will tell you the story Hazel has already made up for them. They are sisters. 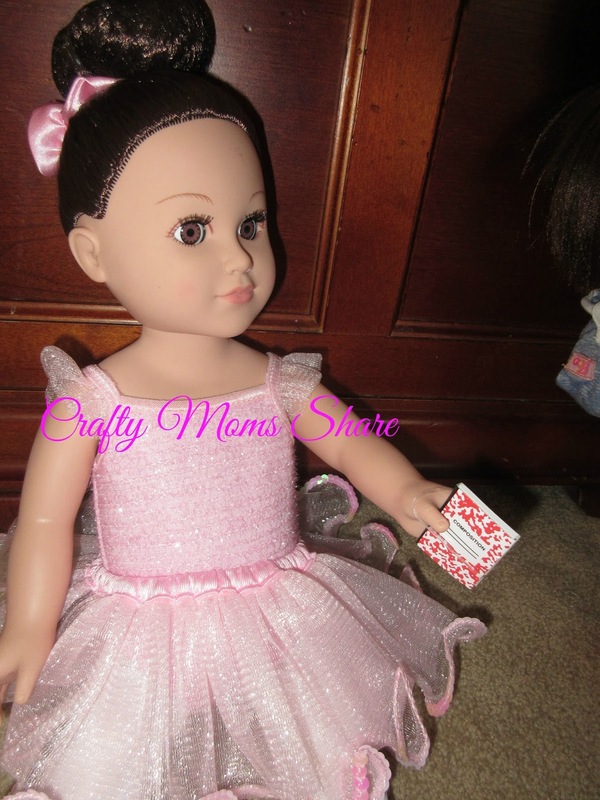 Starshine is a bit older and is a world renown ballerina. 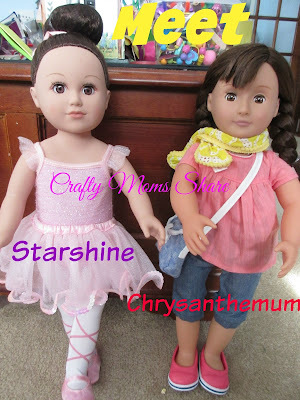 She and her younger sister Chrysanthemum travel the world for Starshine's performances. Chrysanthemum is in charge of the travel details and keeping Starshine company. While at Party City searching for fairy wings which will be another post, I found some great doll items in the favor section. The nice part was you only had to buy what you needed and not buy a whole package. I bought some for Hazel's dolls and some for her friend's doll. All of the items were less than $1 each (I think 60 cents or less). Chrysanthemum is working on her musical talent wit her French horn. 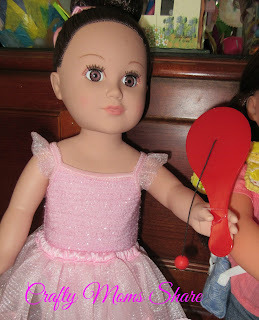 Starshine is passing the time between performances with her paddle ball game. On a day off the girls play a bit of frisbee. 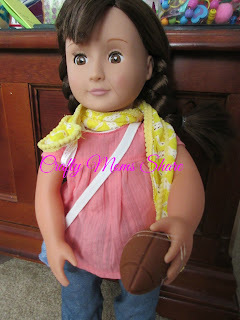 Chrysanthemum also likes to play football when she gets the chance. Or throw a baseball. Starshine is often trying new routines and wants to write down the routine. And of course the girls need to keep up with their studies, so they have to work in their composition books. 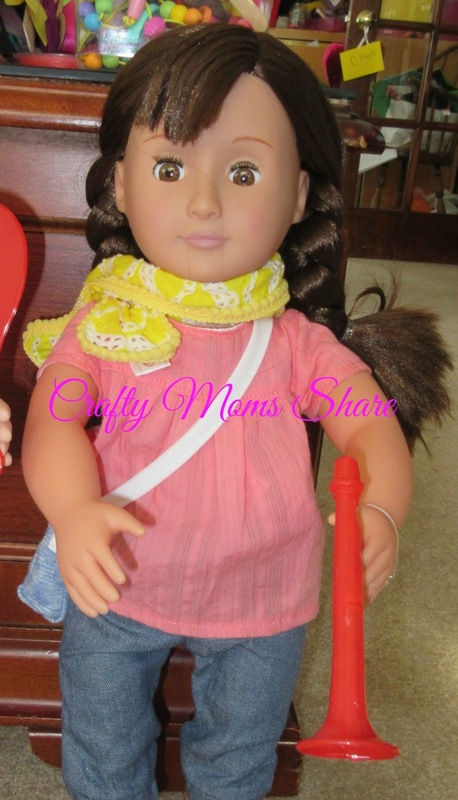 I also purchased a star wand which Hazel gave to Starshine, but I think it was left in the car or at my mother-in-law's house. There also was a mini paint set, but I have a feeling that may have been left at the friend's house. 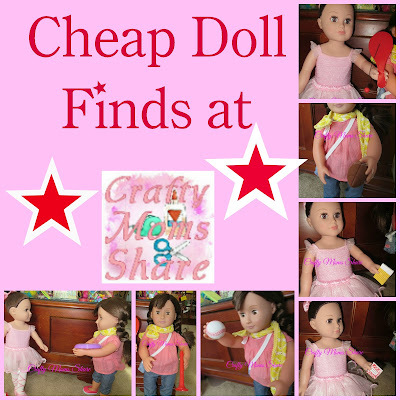 Those are the fun doll finds for this month and our introduction to Starshine and Chrysanthemum.